The STIHL YARD BOSS® PowerSweep™ attachment removes caked dirt, pebbles and even water from your path. Show nature you have the right-of-way with the KW-MM PowerSweep™ attachment for the STIHL YARD BOSS® yard care system. 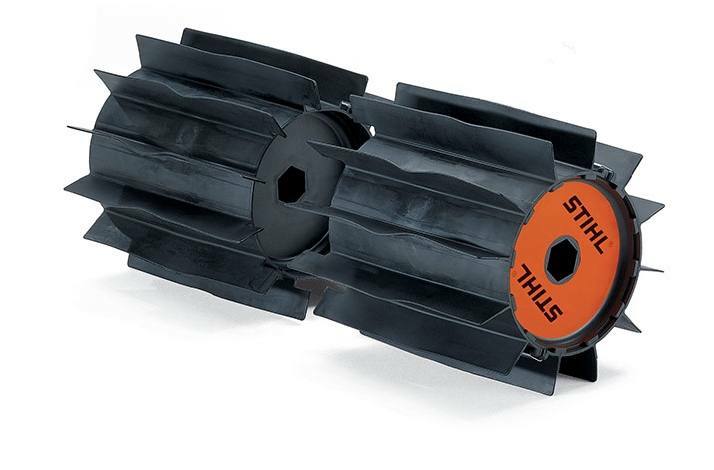 This powerful attachment features heavy-duty rubber flaps, acting like a squeegee on steroids. It cleans up compacted dirt along roads and sidewalks, moves pebbles and sand from grassy turf, and even removes water and light snow from hard flat surfaces. Note: This attachment must be used with large deflector and extensions.